These first swim caps for babies and toddlers are made from high quality nylon lycra. The hat is designed for all babies and toddlers with irritated skin conditions such as cradle cap, eczema or simply to keep the sun off their scalps. 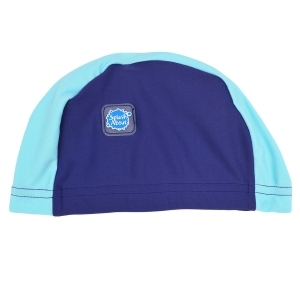 The snug fitting cap helps to keep barrier and eczema creams in place providing extra protection in the pool. Please note a swim cap is required at our Bramley and Moorlands pools.